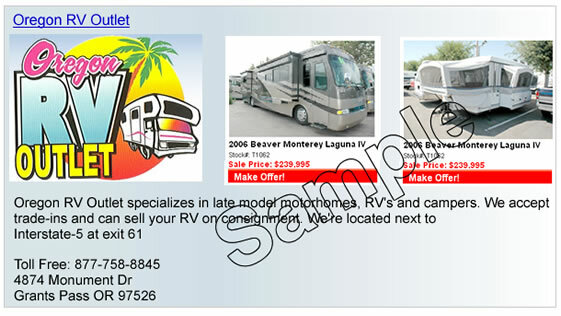 Michigan RV Dealers is by RV Affiliates. We specialize in clean effective websites designed to help consumers research purchases and services from local resources. Up to three units are automaticly selected from your inventory and show on our front page. Your RV related inventory can be imported from any data-source. Setup time is typically less then a few hours. Include links to your specials, inventory, etc.